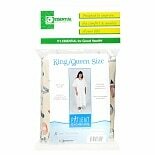 Shop Essential Medical Patient Gown King/ Queen Size (1 ea. )1 ea. 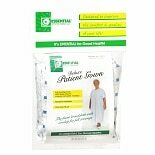 Shop Essential Medical Patient Gown One Size Fits All (1 ea. )1 ea. 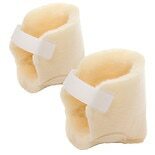 Shop Essential Medical Sheepette Premium Heel Protectors (1 ea. )1 ea. 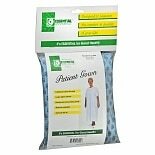 Whether you're a medical professional, a caretaker, or are convalescing, a quality patient gown can make the difference when it comes to comfort and style. In addition to the various sleeve lengths available, your options include different patterns and colors. Some gowns can feature nice trim or other details to help make the patient feel comfortable and well-dressed. 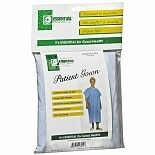 Choose from men's and women's patient gowns from Salk and Essential Medical Supply. If you need additional supplies for a convalescing patient, you can find many here at Walgreens.com. Overbed tables can help make remote controls, reading materials and meals easily accessible. There are also male and female urinals that can be used in a seated or reclined position. For bedridden patients, choose from bedpans and urinals in different sizes and materials that can be used while lying down. 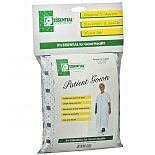 For medical professionals, we carry a range of men's and women's medical scrubs. You'll find various sizes and styles of Scrub tops that include different colors and ladies' styles that feature colorful prints. 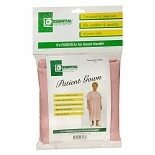 Unisex scrub pants with drawstrings can be adjusted to the right fit for you. Additional medical uniform options include scrub jackets and lab coats.